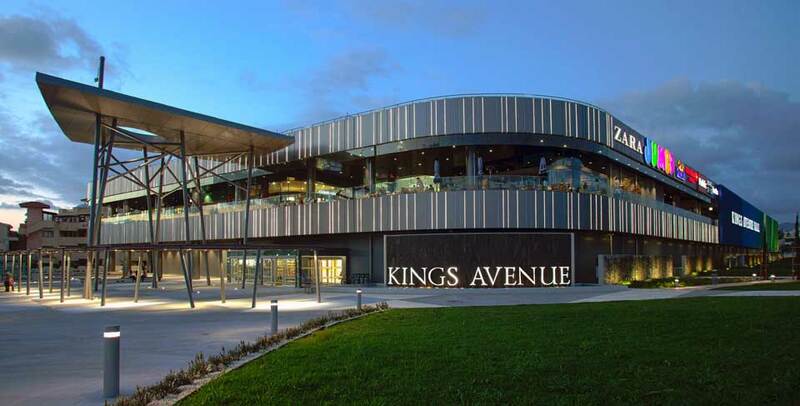 Kings Avenue Mall is an impressive recent construction located in central area of Paphos. It is the most recent and modern mall in the whole Cyprus which provides an excellent shopping experience. Visiting the mall you can see different fashion brands, famous boutiques, well known restaurants and cafes, arcade games, cinema, outdoor playing area, etc. Since the mall is recent build it has been built in a modern design both in the interior and exterior and provide a very beautiful image for the town. 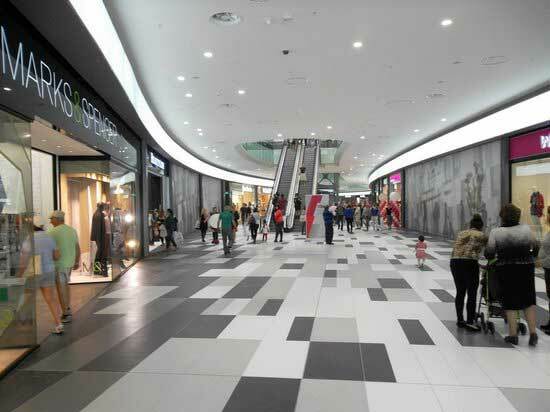 The ground floor of the mall includes different kind of shops including fashion shops for women, men and children, supermarket, toy shops and other home ware stores. On the first floor you can find the main are of the where the restaurants and coffee shops are placed. There are also other shops for clothing, accessories, toys, electronics, video games, etc. On the first floor you can also find the cinema which provides the latest movies which are coming out. Except from the above, the building also provides a two floor underground parking which includes wheelchair parking which is most likely the parking which are next to the lift or entrance to the building. There is also a car washing service where you can bring your car and have it all washed and ready while you are enjoying your coffee with friends or family. Moreover, there are also other services like key shop, shoe repairs, dry cleaning, flower shop, and different other services. Kings Avenue Mall has also made sure that you are always connected to the internet during your visit. You can use the free WiFi internet which is provided from PrimeTel. The mall also provides several cash machines around the building. Finally, Kings Avenue Mall is a great place to visit in Paphos and we are sure that you will have a great time. If you are looking to visit Kings Avenue Mall and you are looking for transportation, visit our website here and we will make sure that you will not be disappointed. More information about Kings Avenue Mall can be found on their website.